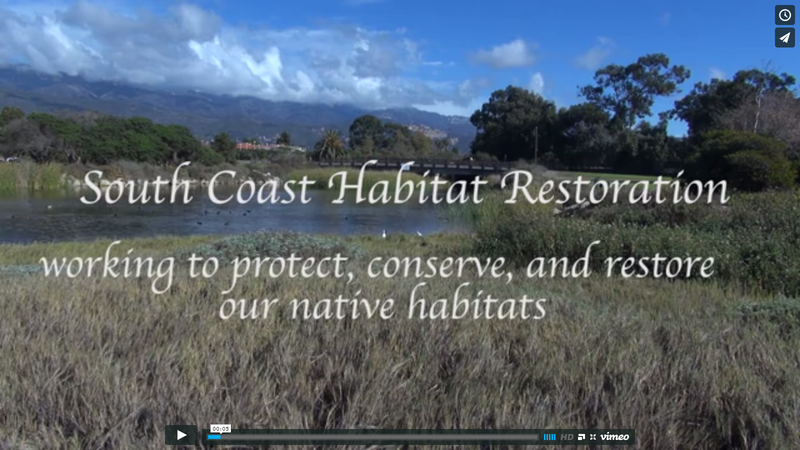 The goal of the Cate School Bank Stabilization Project was to improve steelhead habitat, water quality, and streambank conditions in the Carpinteria Creek watershed at private property owned by the Cate School Corporation in Santa Barbara County. The project is to serve as a demonstration project to the agricultural community highlighting what can be done to benefit agricultural operations as well as protect the environment. 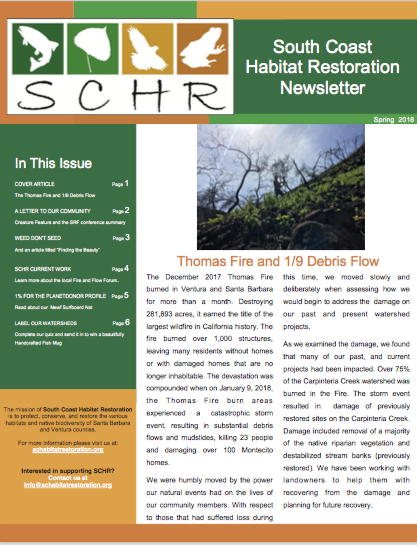 The project addressed a 300 foot area of eroding stream bank within an avocado orchard. The project went to construction in the Fall of 2010. The project employed biotechnical bank stabilization for the protection of steep vertical banks using rock toe installation, root wad structures and willow trenching. The project was the result of many years of planning by many partners. SCHR worked to secure permits and funding for the project and managed the construction of the project. The habitat restoration project consisted of three sections. The upper and lower sections of near vertical creek banks were laid back to a more gradual slope. Large rocks were placed in a trench along the toe of the slope. Willow and Sycamore poles were placed within the trench and throughout the project site to help further stabilize the bank. In the middle 100 foot section of the project four large root wads (from felled avocado trees) were installed in order to direct flows away from the creek bank and protect it from further erosion. This section was not laid back like the other two in order to preserve four large oak trees that are at the top of the bank. The area was re-vegetated with native species from seed, container stock as well as salvaged tree stakes to restore native riparian cover to the site.